This weekend was pretty wild. 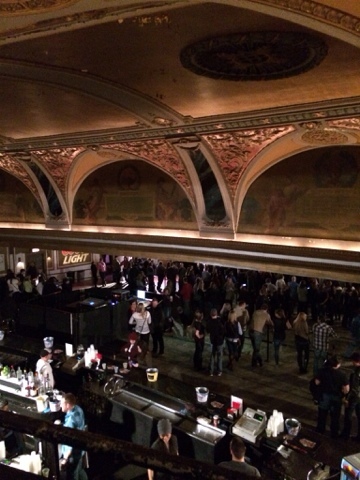 It started off with a Josh Radin concert in a historic Chicago venue, the Riviera (also in the movie The Breakup). I love that guy and as Tom said, "I could listen to him sing the phone book". Regrettably he was only opening. Can't wait until he comes back next year for a full concert. 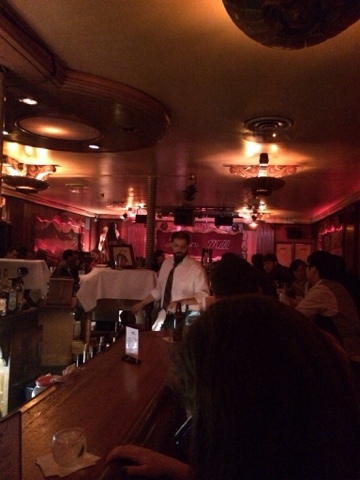 Then we hit up The Green Mill another historic venue and Jazz club. We enjoyed some bourbon and listened to a wild techno jazz crew. 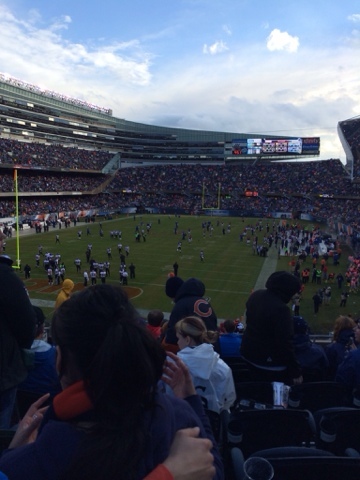 On Sunday we went to the Bears game. It was....interesting to say the least. We knew the weather was supposed to be bad, but you really can't turn down free Bears Tix! 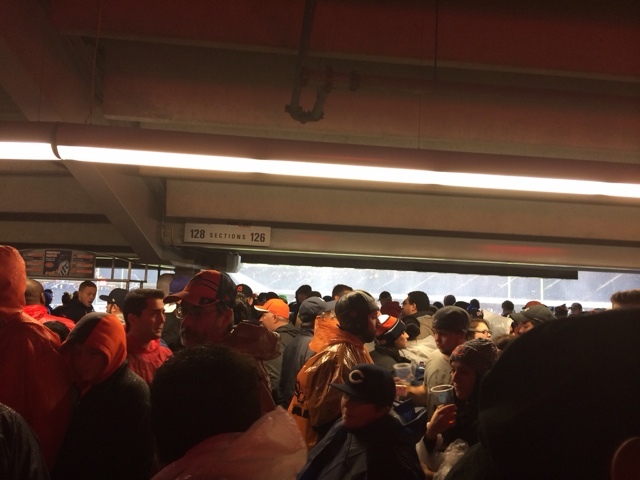 It it started off incredibly warm and then a horrible storm blew by and we all evacuated the stadium into the mezzanine level. We waited about 2 hours before it was time to go back to the game where the temp had dropped a good 20 degrees. We enjoyed watching the game and the fact that the Bears won. However the good feelings were short lived. Unbeknownst to us, horrible tornadoes were sighted in the area during the game and completely devastated a few nearby towns, like Washington, IL. Its incredibly sad. I was thankful to be in the city where tornado generally aren't a problem. Hope everyone else enjoyed their weekend!